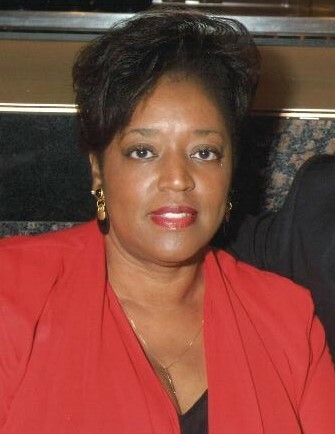 Gail M. Thomas departed this life early Sunday morning September 9, 2018 at the age of 64. She was born April 4, 1954 to Mr. Charles E. and Minnie L. Morrison in Jacksonville, FL. She was a high school graduate of New Stanton High School in the class of 1972. She attended Junior College before accepting a position at BellSouth Telephone Company. During her 13 year tenure at Bellsouth, she met and married Nathaniel. Thereafter, she left the workforce to become a mother and homemaker. Later in life Gail resumed her professional career as a Real Estate and Insurance professional. Gail accepted Christ and was baptized while a member of Beverly Hills Church of God. She was currently a dedicated member of Hopewell Church. She enjoyed traveling to visit new places, shopping, and spending time with family and friends. Gail was preceded in death by her loving Father, Charles E. Morrison; Brother, Kenneth Morrison; Sister, Glenda Morrison and Sister-In-law, Sibyl V. Morrison. Gail leaves to cherish her memories a loving and devoted family, Husband of 40 years, Nathaniel R. Thomas Jr.; Children, Nathaniel R. Thomas III of Brandon, FL, NaKaya G. Thomas of Jacksonville, FL and Stepdaughter, Laiesha C. Thomas (Edward) of West Palm Beach, FL; Grandchildren, Cayden A. Thomas, Edward D. Thomas II, Anaya N. Thomas; Mother, Minnie L. Morrison; Brothers, Don E. Morrison (Essie), Victor L. Morrison (Terry), Mark Morrison; Uncles, Eugene Morrison (Deloris), Ernest Miller (Mary), Leroy Miller (Lafrenthie), William Miller; Aunts, Ora Gunter (Lawrence), Rosetta Thomas, Louise McDonald and a host of nieces, nephews, cousins, and many other loving family members and friends. A visitation will be held on Friday, September 21, 2018 from 5:00 p.m. to 7:00 p.m. at Aaron and Burney Bivens Funeral, 529 Kingsley Avenue, Orange Park, Florida 32073, (904) 264-1233. The funeral service will be held on Saturday, September 22, 2018, at 11:00 a.m. at Hopewell Church, 3990 Loretto Road, Jacksonville, Florida 32223.